Starting this summer, Best Buy will launch over ten 4K and HD Fire TV Edition units from Toshiba and Insignia. Later in the year, these TVs will make their way to Canada as well. Fire TV Edition-branded TVs come with Fire TV software built-in, as well as Echo pairing capabilities and an Alexa remote. The logic behind the collaboration makes sense if you think about it. 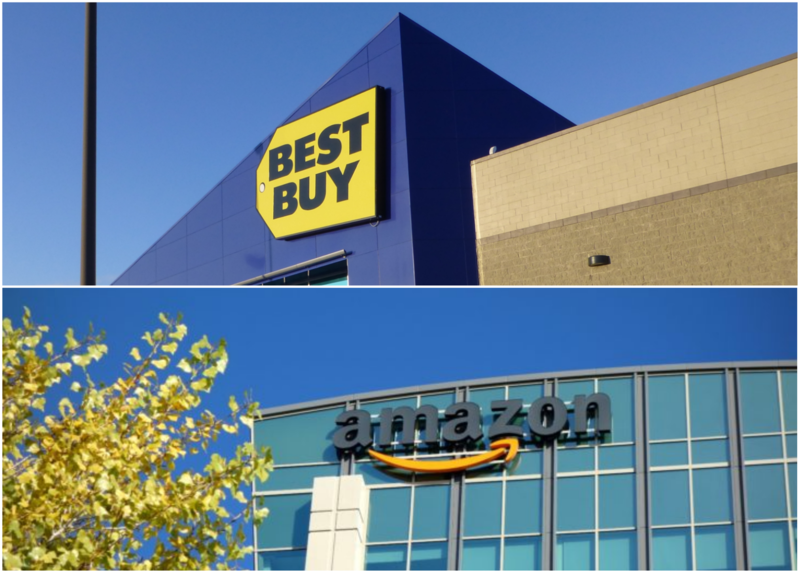 People traditionally prefer to physically view TVs before buying them, and Amazon will be able to take advantage of Best Buy's 1,000+ brick-and-mortar stores in the US. On the other hand, Best Buy gains retail exclusivity. Best Buy already sells on eBay, so this isn't completely new territory for it. The partnership is a win for both companies.